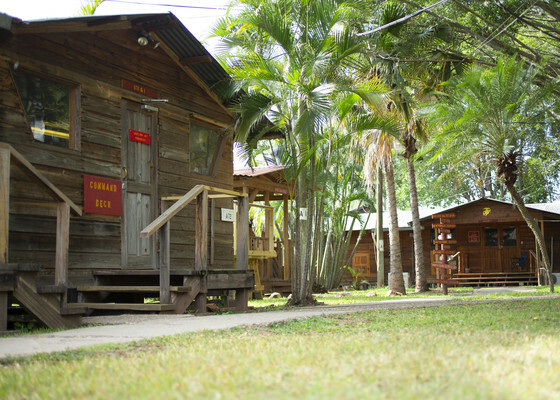 SOTO CANO AIR BASE, HONDURAS —Marines have reported for rotations of the Special Purpose Marine Air-Ground Task Force – Southern Command for years deploying to a small compound of wooden huts tucked in the corner of this historic place. This semi-secluded area has been known for years as Alpha Block, but this that changed with the renaming of the Marine camp. Dropping the penitentiary-sounding “Alpha Block”, the Marines renamed their camp, Camp Manion after 1st Lt. Travis Manion, who earned a posthumous silver star for drawing fire away from wounded Marines in April 2007 in the Al Anbar province, Iraq. Early in the deployment, the logistics element Marines built a new gateway into the compound, christening it Camp Manion in the bright red and yellow found on all Marine Corps Bases. The Marine Corps is also known for its small size when compared to other services and one officer with the SPMAGTF had the honor of crossing paths with Manion. Now the example Manion set for his Marines will live on as part of the Marine Corps tradition for every Marine and Sailor that serves as part of SPMAGTF-SC.